When someone close to us offends us in some way, many of us (that would be me) tend to harbor anger and resentment which will steal our joy. Rather than taking things personally, I need to accept the person for who they are and not try to make them into who I want them to be. If I’m not careful, I can let those negative thoughts and feelings affect my relationship with them. Instead of harboring ill will, what I need to do is make a list of all of this person’s positive attributes. When I get upset with my perception of how I think things should be, I need to pull out this list so that my mind is filled with all of their good qualities and not focus on the less desirable traits. That’s what Jesus does for me. He keeps no records of my wrongs. Satan wants to fill my mind with things that will damage and cause division and not unity. 2 Corinthians 10:5b is a good way to remind myself to not take captive those thoughts or feelings of resentment toward any individual whether it is family member, friend, or a person who has cut me off in traffic. This scripture can shift our focus to praise someone’s good points which in turn will soften our heart toward them. It’s a win-win for everyone. With the upcoming holiday season, we need to be careful to not let the little things in life upset us. Yes, lines will be longer, there will be more traffic, less parking spots, impatient and rude individuals...However, we can’t let any of that create a bad attitude toward others, especially with our loved ones. In my Bible study last week, one of the challenges was to to try and list 10 things that you love about Jesus every day. If I am doing this, I probably won’t even need to look at my other list because if I am loving like Jesus, I won’t be letting the little things in life rub me the wrong way. Infuse me with Your joy not just today, but every day. Help me to let go of any feelings of resentment that I may be harboring toward someone. Transform my thinking to focus on all of the positives in both life and other people around me. 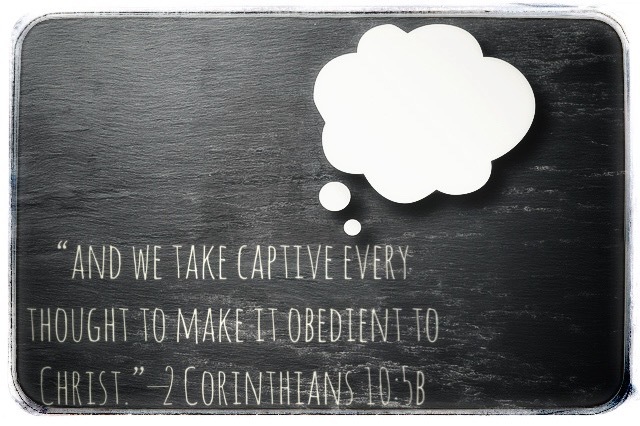 Help me to take captive every thought and make it obedient to You. Dislodge all negative thoughts and emotions that are hardening my heart. I pray these things in the name of Jesus. Amen. Have you been able to implement his month’s memory verse,“Devote yourselves to prayer with an alert mind and a thankful heart.”—Colossians 4:2, during your quiet time with the Lord this week?